Insulin enables glucose to be stored by the body’s muscle, fat and liver and used as fuel; a shortage of insulin leads to high sugar in the blood that raises the risk of blindness, heart attack, stroke, nerve damage and kidney failure. Using stem cells, scientists have successfully restored insulin production and reverse diabetes in mice, paving the way for a breakthrough treatment for the illness. The research is the first to show that human stem cell transplants can successfully be done to normalize insulin production in the pancreas. The research team has re-created the ‘feedback loop’ that enables insulin levels to automatically rise or fall based on blood glucose levels. After the stem cell transplant, the diabetic mice were weaned off insulin, a procedure designed to mimic human clinical conditions. Three to four months later, the mice were able to maintain healthy blood sugar levels even when being fed large quantities of sugar. 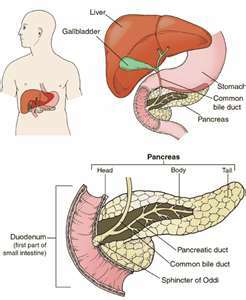 Transplanted cells removed from the mice after several months had all the markings of normal insulin-producing pancreatic cells. The studies were performed in diabetic mice that lacked a properly functioning immune system that would otherwise have rejected the cells. The research was led by Timothy Kieffer, a professor in the Department of Cellular and Physiological Sciences at the University of British Columbia (UBC) in Canada, and scientists from the New Jersey-based BetaLogics, a division of Janssen Research & Development. Prof. Kieffer said: ‘We are very excited by these findings, but additional research is needed before this approach can be tested clinically in humans. There are 346 million people worldwide have diabetes, according to the World Health Organization (WHO).